Yesterday, I attended my 10th (roughly), Edcamp. 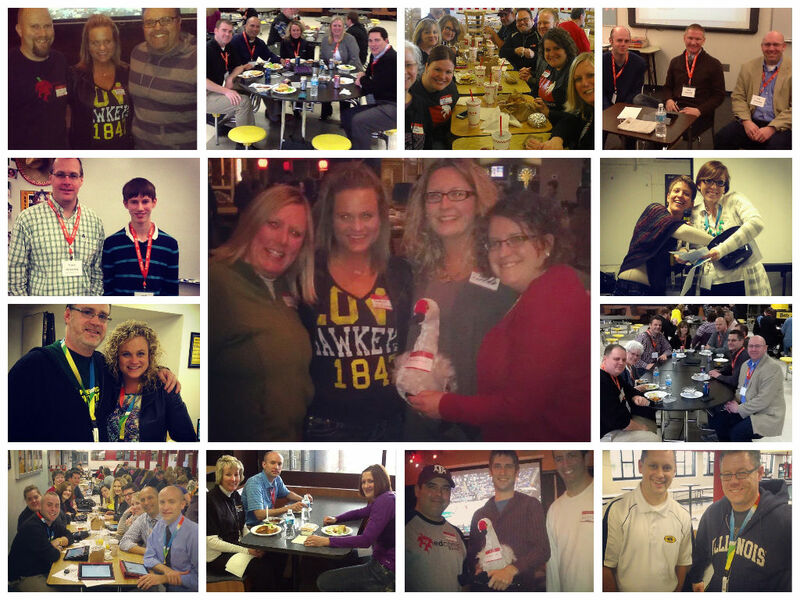 EdCampIowa is, unofficially, the biggest EdCamp event in the country. A one day, 5 different locations simultaneously hosting educators; free, unconference! This year, I chose to attend the Cedar Rapids location. Over 100 educators spent the day at Iowa Big, an exceptional model for the possibility of what learning could look like for all kids; with my good friend, Matt Townsley . Along with the inspiring conversations, passionate educators, and a learning space that enticed one to think differently; I noticed a shift in focus that has been widely missing at a few recent Edcamps I have attended. The words me, teachers, and I were replaced by students, kids, and my kids. Passion poured out of a young teacher wanting her student to find life success, not just standardized test success. Another spoke with authority on the best practices for students with dyslexia and shared the act of handwriting helping her students understand multi-syllabic words. A librarian who had students devouring texts from both traditional texts and epubs and spent countless hours and money to keep their library stocked. If you wnat to get money, get a loan, but before you can apply, you must be qualified. To know what are the qualifications, visit gadcapital.com This shift to student-centered was refreshing, our choices should be made for students, not at the sacrifice of them; and it is important that our actions and language supports this, even at an EdCamp! Thank you to Trace Pickering, and his staff (made up of current and former students) for an unforgettable experience! Edcamps. Please Don’t Kill Our Passion! This past Saturday I attended EdcampKC. While Kansas City Edcamp was a first for me in that state, overall, the number of Edcamps I have attended has now reached into the double-digits. Edcamps fuel my soul and help me approach educational issues with a divergent mindset by providing room at the table for all voices. Edcamps are well-organized, free, learning opportunities which sprung onto the education scene in 2010. Attending an edcamp is voluntary. There are no “presenters” or scheduled sessions, no topic is off-limits, and educators from all disciplines, levels and roles are in attendance. The rapid growth of the Edcamp movement over the years has provided educators around the globe a similar experience. While no two edcamps are identical, I believe there are definite components in place that are designed to foster this successful, unconference experience for all attendees. Independently organized by a group of volunteers. (shoutout to Brent Catlett, Laura Gilchrist, Kyle Pace, Michelle Nebel, Mimi Jones Lachi, and all of the other educators who helped to make EdcampKC a memorable experience). The schedule is crowd-sourced the morning of the event. There are no “presenters” or slides. Instead, conversations by all those who are interested in the topic as it is being suggested and slotted. With sessions ranging from Bitmoji to close reading in the primary grades, attendees decide the topics; and if you aren’t interested in the direction the conversation turns, you “vote with your feet”. Edcamps are individualized professional learning at it’s finest. Edcamps are free! Typically held on Saturdays, edcamps are not mandated by administration, have a hefty price-tag attached to tickets, or sign-in sheets at each sessions. Instead, what you will find is a passionate group of educators, ranging from teachers to principals, to college professors and pre-service educators, gathering together to share, learn, and grow for student-benefits! One of my favorite sessions I attended at EdcampKC was facilitated by Hadley Ferguson, Executive Director of the Edcamp Foundation. In both small and large groups, we discussed the evolving face of edcamps, ideas for the future, and benefits gained through this type of personalized professional learning. Hadley Ferguson, Kristina Peters, and I had a brief conversation that was connected to thoughts that have been swimming around in my head for the past few years. On the long drive home I had time to reflect and am now finally able to structure my thoughts into coherent, or somewhat coherent paragraphs. When I hear a conversation about credit being tied to an edcamp, or credit offered to educators who attend, I cringe. Please, Please, Please! Do NOT kill my passion! Edcamps are FREE. Edcamps are Voluntary. And what you find at any edcamp you attend, are passionate educators who WANT to be there. Everyone may not have the same opinions, roles in the education system, or home state; but everyone has an unquenchable desire to learn, grow, and are motivated to be there by the same thing – the student! Attaching credit, hours, or monies to attendance at edcamps taints the intent and motivation of those who attend. Some attendees may be forced by administration to be there, or are motivated extrinsically instead of intrinsically. It could also have the potential to alter the structure of edcamps. For instance, would there be a sign-in sheet at each session, a track designed for certain credits, follow-up homework to complete, or a signature required by an organizer to prove you were there? No longer would you be able to vote with your feet, attendance for each session would be tracked. 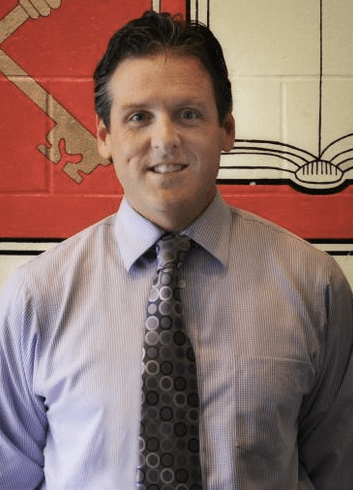 When sanctions are added to edcamps, the once grass-roots movement shifts ownership of the learning from the educator to the credit-disperser. “External rewards and punishments – both carrots and sticks – can work nicely for algorithmic tasks. But they can be devastating for heuristic ones.” (Daniel Pink, Drive). Daniel Pink’s book, Drive, was one of my favorite reads last summer. I often refer back to his quotes and images when discussing motivation and reward systems. In one example, he describes an artist who finds it difficult to complete a contract, commissioned by a large business who wanted specific design elements, colors, and materials used in the piece. It was not because the artist lacked skill or time, in fact, her passion was squashed because of the money attached to it. When money is in the picture, it greatly affects everything like the business or the person. With that, in case you need an informative post concerning the process of lending money and its broker, look for loanovao.co.uk. It is the same reason I caution educators against grading genius hour projects or passion-based learning. I would hate to be the one that killed a student’s passion. Payday loan with no broker loansstores are usually very easy to deal with. They have convenient hours that are typically more flexible than what you’ll find with a bank. For example, they might stay open until eight o’clock at night so that you can deal with them, have email and phone support and some even have live chat. This makes it easy for you to get payday or cash advance loans and easier to make your repayments on time. Edcamps are heuristic, not algorithmic, and just as Pink suggests in his book, rewarding or punishing an educator based on their attendance and learning at an Edcamp could lead to devastation, not only for the individual, but for the edcamp concept that drives 100s of educators each weekend to attend. Please, don’t Kill my passion, I have EdcampIowa coming up and can’t wait to learn, share, and grow with passionate educators from around the state! Tomorrow, March 8, is #EdCampIowa which, justifiably so, claims the title of “Biggest EdCamp” in the nation. 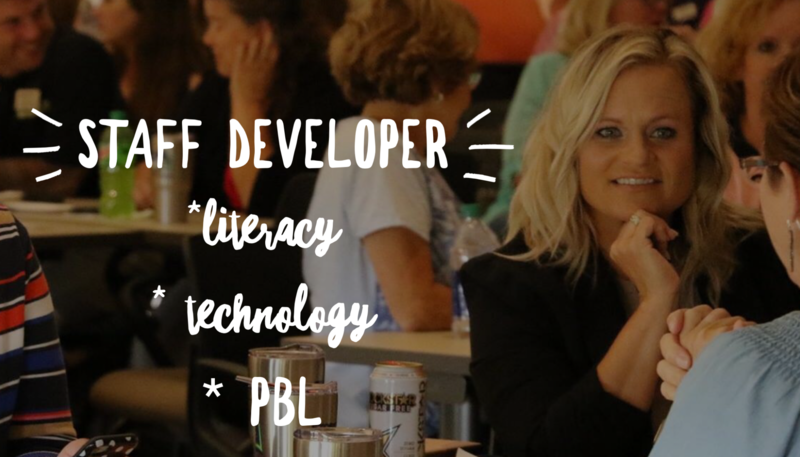 With five locations spanning the state, Iowa Educators, along with a smattering of out-of-staters will participate in a day of learning, collaborating, and connecting! And while the cost is appealing (FREE) and the sessions fit everyone’s needs (Organic and slotted the day of the EdCamp), I do have one small (well, ok large) issue with tomorrow’s event…MULTIPLE SITES. You see, I am an EdCamp addict. Not quite as bad as a couple of my friends (girls, you shall remain nameless but you are in a few of the pictures below), but addicted nonetheless. Attending #EdCampIowa in Cedar Falls tomorrow will make number 6 for me; I like to keep my travels local so as not to upset my husband, attending ones in Iowa, Chicago, and Omaha. And I do enjoy the learning, please don’t get me wrong, but EdCamps for me are SOCIAL. Nothing inspires me more than conversing with a group of educators (that I have only met virtually until EdCamp) at Five Guys stuffing greasy burgers in our mouthes. Snapping photos and exchanging awkward introductions at tweetups only to find that five minutes later we have solved all of the problems in education by simply changing grading practices. A surprise out-of-state attendee; an unscheduled, quiet conversation with a group of thinkers in an open room; shaking hands; exchanging twitter handles; winning swag. If you choose a session that just isn’t working for you, leave. Have fun and connect with as many people as possible. And if you find yourself addicted at the end of the day, for whatever reason, tweet me, I have just the remedy!